In 1987 the CSIRO Division of Atmospheric Physics held a conference at Monash University on the greenhouse effect. Entitled “Greenhouse 87: Planning for Climate Change” the papers presented to the conference were published in a volume edited by G.I. 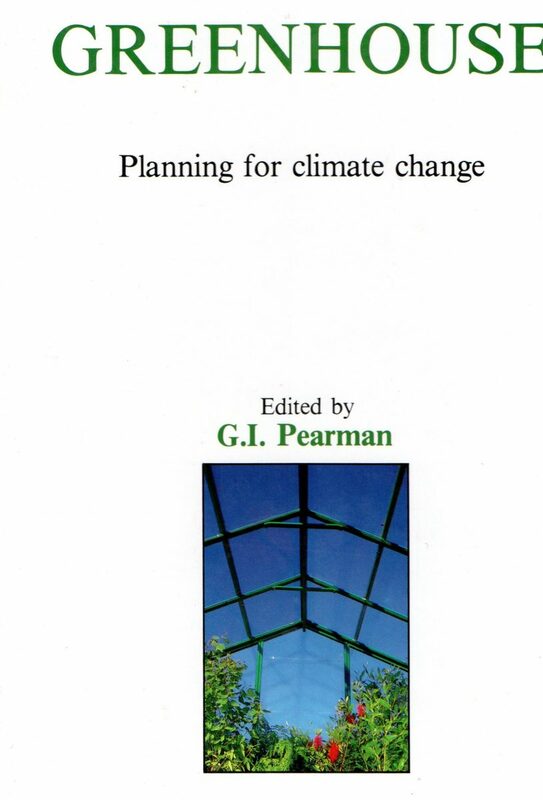 Pearman Greenhouse: Planning for Climate Change (CSIRO 1988). This volume went to 752pages and there were 260 attendees at the conference. Over 100 papers were presented by prominent scientists including Barrie Pittock, David Karoly, Eric Bird and Pearman himself. The title of Pearman’s lead paper was “Greenhouse gases: evidence for atmospheric changes and anthropogenic causes” and he noted all the papers were “refereed and revised”. Importantly the conference was opened by Barry Jones then Minster for Science in the Hawke government. Beyond noting that there was a science minister, the most important aspect of Jones opening the conference is that knowledge of the threat posed by global warming went to the highest level of government. Thirty years later a climate change denying coalition still conducts a rear-guard action against the science. But much else has changed in those 30 years. The evidence from a wide variety of sources confirms many of these early predictions and most emphatically the basic physics of the greenhouse effect. Only a few mercenary journalists in the columns of the Australian and other Murdoch publications, some politicians in reactionary think tanks and a coterie of social media activists carry on their campaigns of denying both the basic science and the accumulated and overwhelming evidence of a warming planet that is now available. As computer power has increased exponentially climate models have become more sophisticated and this remains a work in progress. One recent advance has been the science of ‘climate attribution’ or working out the likelihood of an extreme weather event occurring with and without climate change. This is done by running computers through a number of variables millions of times. Also more sophisticated communications and the rise of the social media has meant that reasonably accurate information can be readily dispersed although the bogie of ‘false news’ (read climate denial propaganda) sometimes confuses the issue. The point remains that the basics of the greenhouse effect have been known for well over a century and that has not changed. The failure of the media (with one or two exceptions) to join the dots and alert the public to this dire threat is paramount. That a number of concerted and mostly well financed campaigns continue to deny the science, confuse the public and importantly delay political attempts at tackling the problem is criminally negligent.